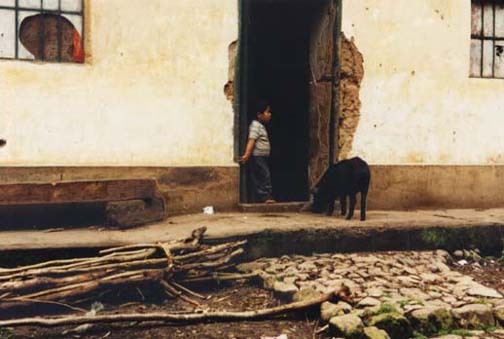 What is daily life like for a Peruvian child? How is it the same or different from yours? Children who live in Peru are like children everywhere -- they love to play and to learn. 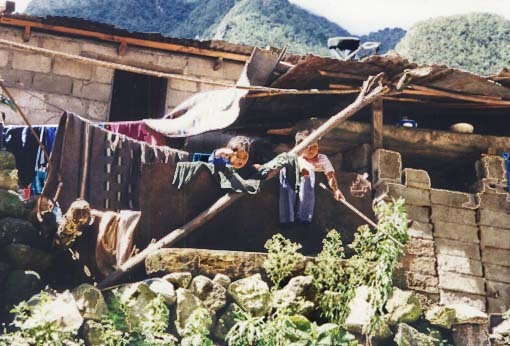 Below are some of our favorite pictures which Tracy took on a previous trip to Peru. You can click on the pictures below to make them bigger. 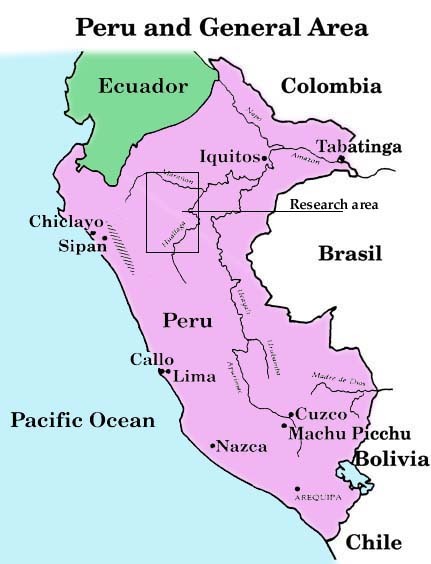 Can you write a story about the children and their lives in Peru? Tracy has given you some background information about where she took the pictures. You can use some of her facts, or use your own ideas. This picture is of a little boy and the family guinea pig. Guinea pigs have fur like the animals we call by the same name but are raised for food in Peru. I took the picture hanging out of a train window when we stopped at a very small village station. 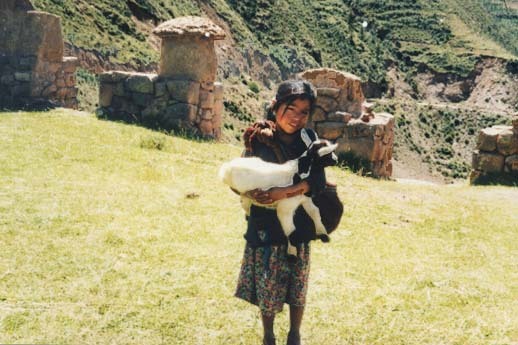 While exploring the ruins at Pisac, we met a little girl who lived high in the mountains with her family. The family supported themselves by caring for the ruins, doing a little gardening, and raising animals. I was walking by the Rio Urubana bank near Aguas Calientas when I looked and saw this girl and boy playing. Wet laundry was hanging in the backyard, and the children had sticks in their hands. 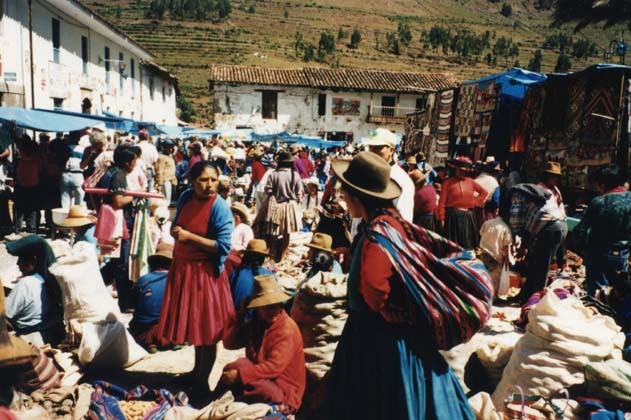 The outdoor market in Pisac is a great place to find crafts, fruits and vegetables from one of the many vendors who come to sell their goods.